Tecan is a leading global provider and manufacturer of laboratory instruments and equipment, primarily for the biopharmaceuticals, forensics, and clinical diagnostics markets. Tecan is widely known for innovative and advanced solutions for your various laboratory needs. Tecan focuses on exceeding expectations and providing ideal equipment and services that offer high performance rates, quality, and reliability. EquipNet is constantly receiving used Tecan equipment through our exclusive contracts with our clients. 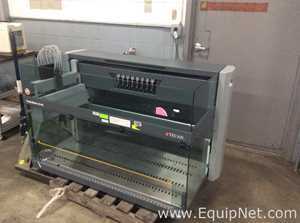 Our inventory of used Tecan equipment includes a number of microplate readers, microplate washers, array stations, liquid handlers, controllers, and more. If you do not see the used Tecan equipment you are looking for, call one of our representatives and we will find it for you. We can also source the right tooling and change parts that you need through our huge network of corporate clients from around the globe. 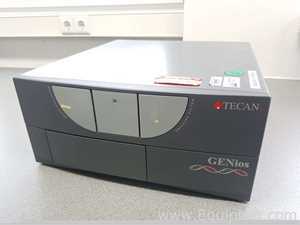 Tecan offers a range of different microplate readers, each equipped with multimode and absorbance capabilities to fit a number of detection techniques. Tecan microplate readers are very versatile and perform well through advanced technologies and innovation. 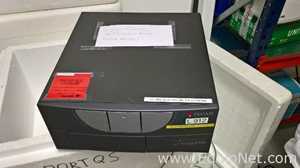 EquipNet carries a wide array of used Tecan microplate readers, including the Tecan Ultra microplate reader, model F129005, Tecan Safire 2, Tecan Infinite M1000, and many more.